Carpenter Nature Center has six different varieties of Oak trees dispersed throughout the 425 acre Minnesota campus. Did you know that the acorns oak trees produce are edible? One species, the White Oak, is a common tree you will see here. 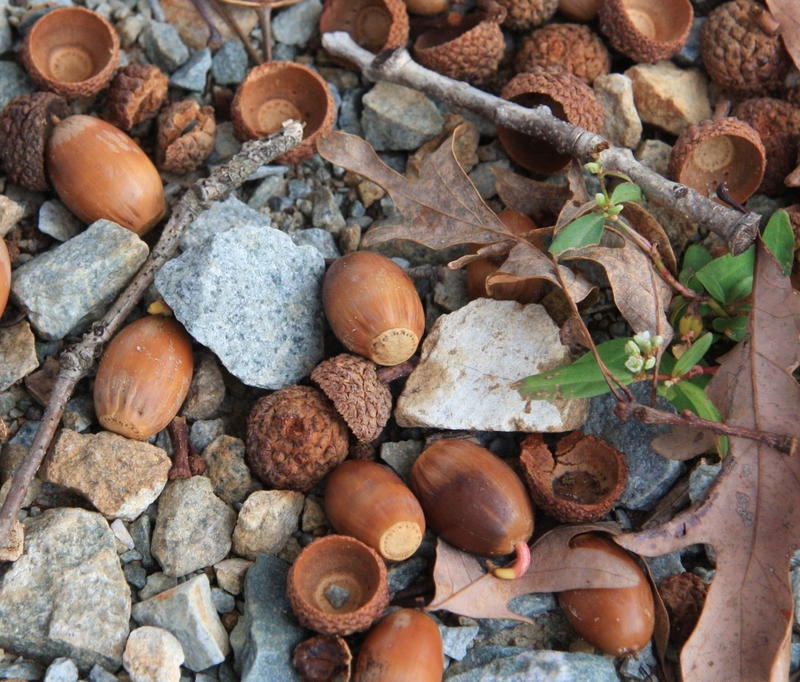 Its acorns are the most palatable of the six varieties at CNC and are often abundant in the fall. To identify a White Oak acorn from a different species, the biggest thing to remember is size and shape. The White Oak produces acorns that are egg shaped with cups that cover only a small fraction of the nut itself. The Red Oak, by contrast, produces a stubbier acorn and a cap that covers almost half of the nut. They look like the smooshed version of the White Oak. 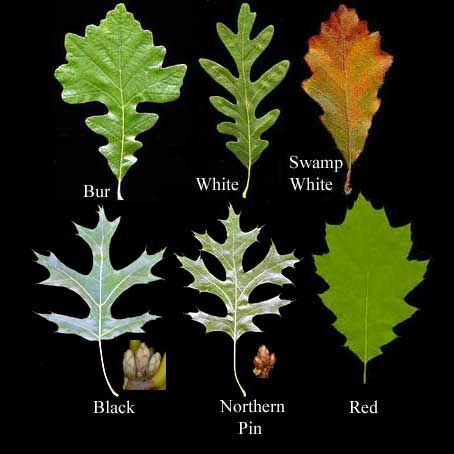 Oak trees take a long time to reach reproductive maturity; up to 20 years! Once they are old enough, a single tree can produce up to 10,000 acorns in a mast year. A mast year is when the oak tree overproduces nuts so that it can grow bigger the next year without nuts. That means that an oak tree won’t always produce nuts every season. Sometimes it has to rest and conserve its energy for growth. These somewhat annoying trees that drop acorns on your car and hurt your feet when you walk barefoot are actually an ancient hidden food source. Acorns have been eaten for thousands of years, much longer than people have been eating wheat. All over the world, people have been using the acorn to make bread, noodles, chips, and much more. During times of hardship such as war or famine, acorns were used as a supplement food source to keep families alive when there wasn’t enough wheat or grain to go around. Today, the acorn is making a comeback in American households. The acorn is packed with protein, good fats, and vitamins that keep our bodies strong. Do you have a lot of acorns around where you live? Here is a fast and easy recipe for you and your family to try that will leave you full and more knowledgeable about the hidden foods around you! Harvest acorns in the fall and put in water to remove any floaters. Remove shell and quarter acorn meat. Boil acorns for 5 min. to remove tannins (bitter taste). Sauté in skillet with butter. Add brown sugar to taste and coat acorn slivers. Cook until brown sugar and butter start to thicken around acorn pieces. Cool and eat as dessert or snack.